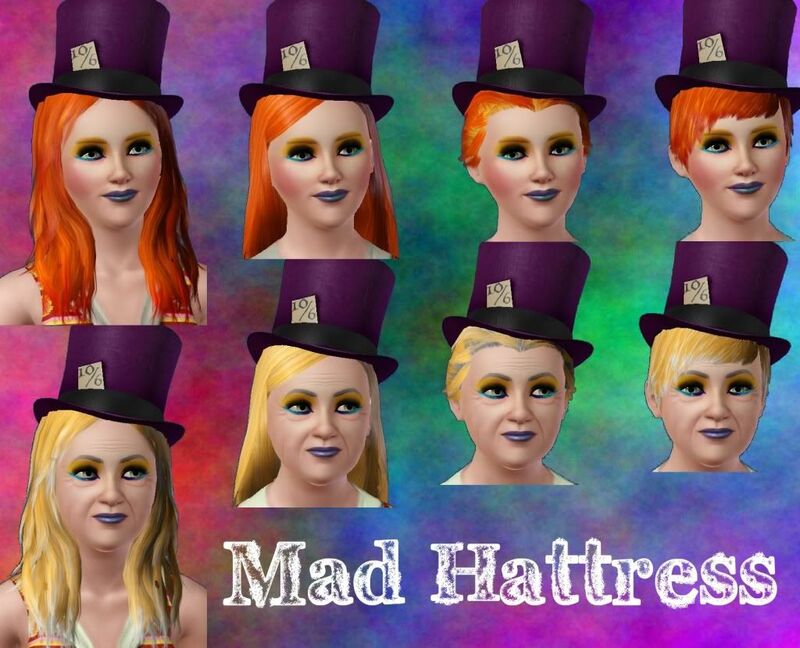 Now we've all heard of the Mad Hatter, but not everyone knows the story of the Mad Hattress. That's because so little is known about her from written history, so I give it to you, the players to make up your own story of the Mad Hattress. This is something that was requested by my friend myhatty, it's The Showtime card top hat with the twist of the old Lewis Carroll novel. 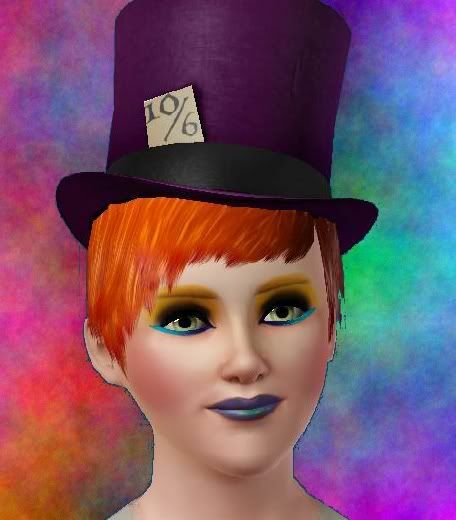 Available in all of the hairstyles that the hat comes with for young adults, adults, and elder females. The hat has 2 channels. The EA default color and pattern choices are the same. I don't plan on making any for males or other ages, but any mesh creators who would like to give it a go feel free. I hope you enjoy!